TreatItAbroad was formed to offer a unique reference point on seeking and receiving medical treatment abroad. In recent years there has been a steady rise in the n umber of patients seeking treatments and solutions to their problems in hospitals and clinics in other countries. There are many reasons for this such as the costs of treatments, the waiting lists, the standards of care and the choice of being able to combine a holiday with a medical procedure. With this is mind, this website was created to offers those wanting to find out more on the subject, a comprehensive and easy to use resource that covers all aspects of the topic. If you have ever wondered how to arrange and make a booking for surgery abroad, what happens after your surgery and how you go about arranging insurance you have come to the right place as all of this and much more is covered for your perusal. Offering practical advice, guidance and support to those wanting to have more say and choice in their medical treatment, this site guarantees that you’ll find what you are looking for. 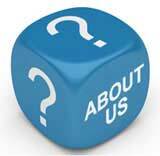 Enjoy the site and don’t forget to send us your comments and questions and we will be happy to post a response. TreatItAbroad was founded by John Rowlinson, the founder of PtS. John, through PtS, is involved in a number of ventures including software and property companies. A percentage of revenue from these activities goes towards funding TreatItAbroad and a number of similar sites.